No driver wants to be left stranded with a dead battery; that is why it is important to have your car’s battery regularly tested by auto service professionals. Here at the service department of Cumberland Chrysler, we invite drivers near Murfreesboro and Mt. Juliet, TN to visit us for a battery diagnostic test. Our skilled ASE and Chrysler Certified technicians can determine if your battery is on its last leg or can still hold a full charge. We can not only inspect and replace your battery, but also clean or replace other parts of the battery charging system, like battery cables. Our service staff may specialize in Chrysler, Dodge, Jeep and Ram (CDJR) auto service and repair, but we work on all makes. So whether you drive a Ram 1500, Jeep Grand Cherokee, Dodge Charger — or any other make or model — our professional service technicians can keep you on the road with routine battery service. Visit us for an oil change, air filter replacement, brake job, tire service or new wiper blades, and we can also test your battery and starting system to ensure trouble-free starting for many days to come. If you plan to install a new replacement battery in your Jeep SUV or Ram pickup truck yourself, then contact our parts department or order your new replacement battery via our online parts request form. 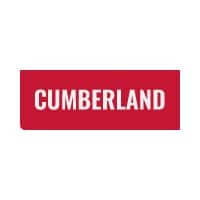 Contact the parts or service staff at Cumberland Chrysler today! Our service department and car dealership are located in Cookeville, TN.